The famous roadside sweetmeat, Jalebi is top on the list. Jalebi is a hot favourite on any and all special occasions.Jalebis though mostly eaten by themselves, can also be soaked in milk for taste. GiftJaipur only delivers products made in Desi Ghee. 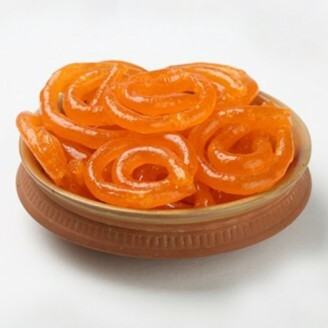 100 grms jalebi for 1 quantity. To send these Jalebi's, minimum amount of your order should be of 300 Rs.